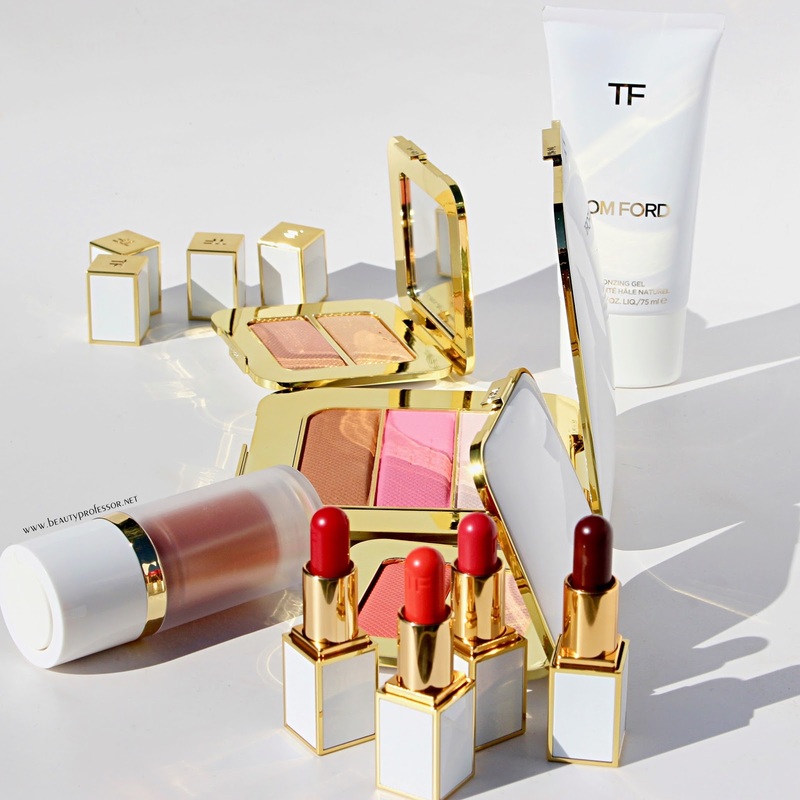 The Tom Ford Soleil Collection 2017. 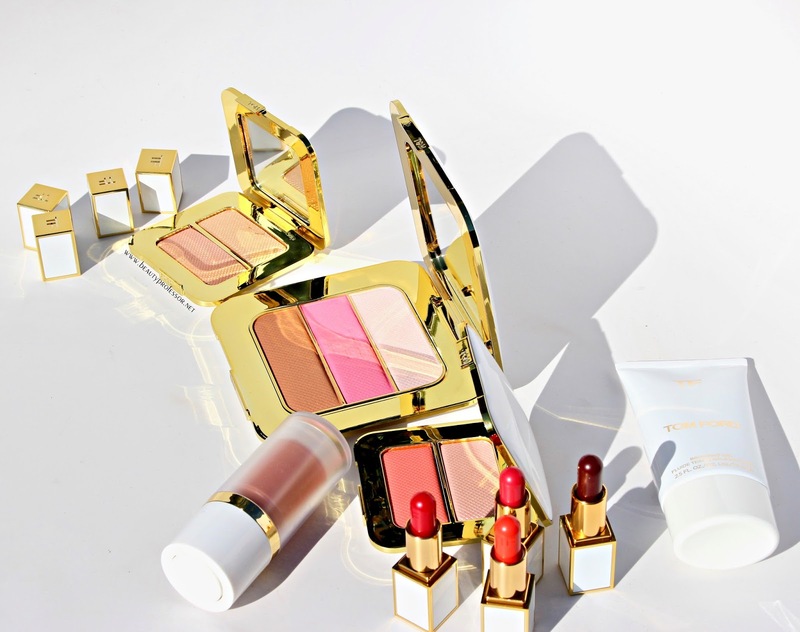 The *Tom Ford Soleil Collection 2017 (also available at Neiman Marcus and Beautylish) has arrived, delivering a radiant dose of golden Vitamin A to our wintered skin. I am excited to offer a swatch heavy overview of some of the resplendent key launches; distinguished by their signature white and gold packaging, this collection will instantly transport you to a summertime state of mind. 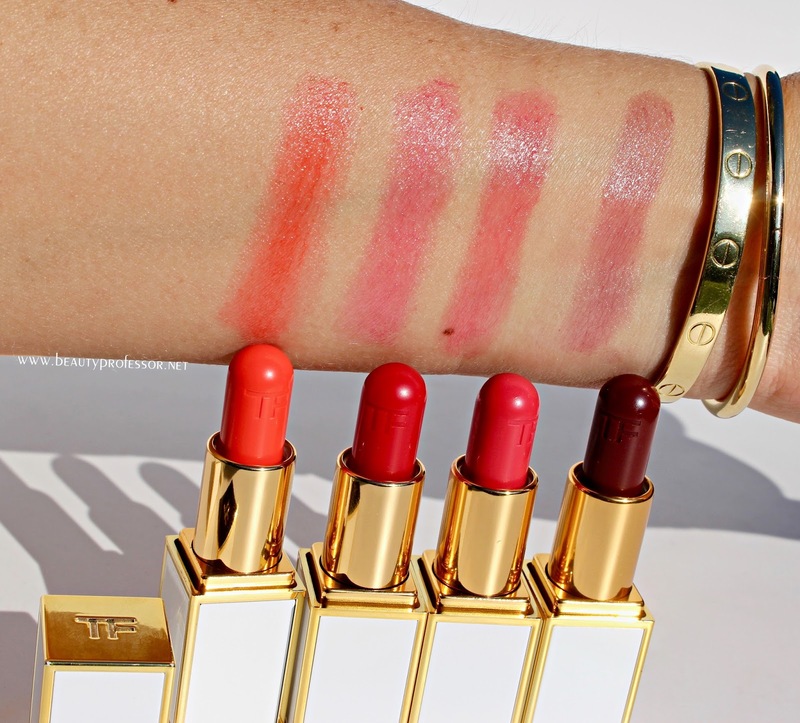 L-R: Tom Ford Clutch Sized Lip Balms in Neotropic, Pure Shores, Fathom and La Piscine. 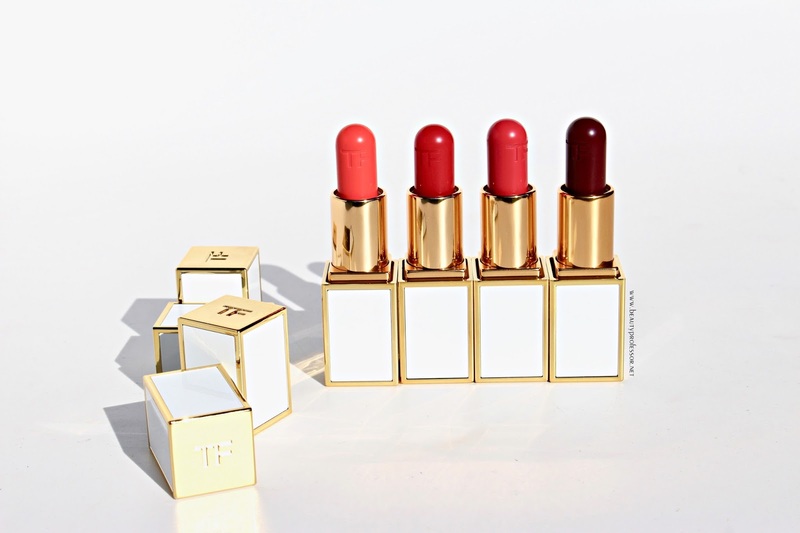 The *Tom Ford Clutch Sized Lip Balms (also available at Neiman Marcus and Beautylish) boast an ultra moisturizing formula that bathes lips in a buttery wash of translucent color. 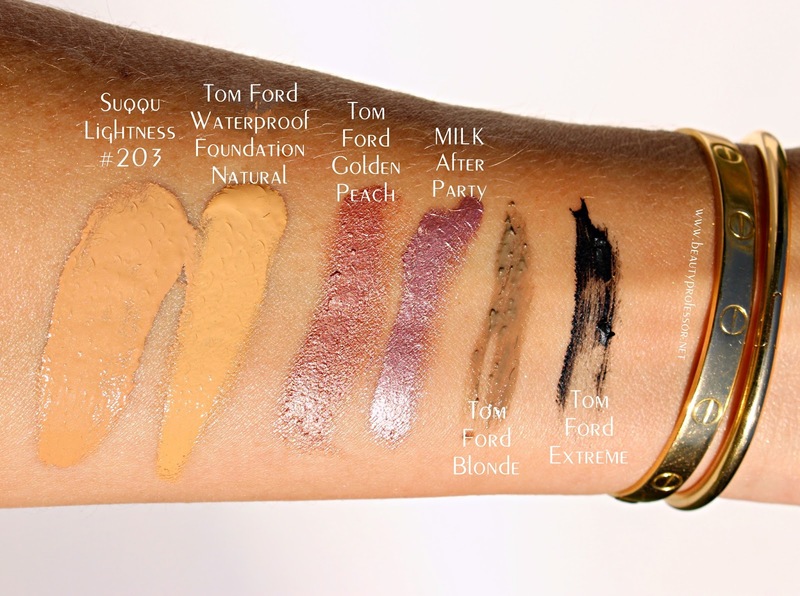 The balm is immensely plush and the color intensity can be built up to medium coverage in a a couple of coats. 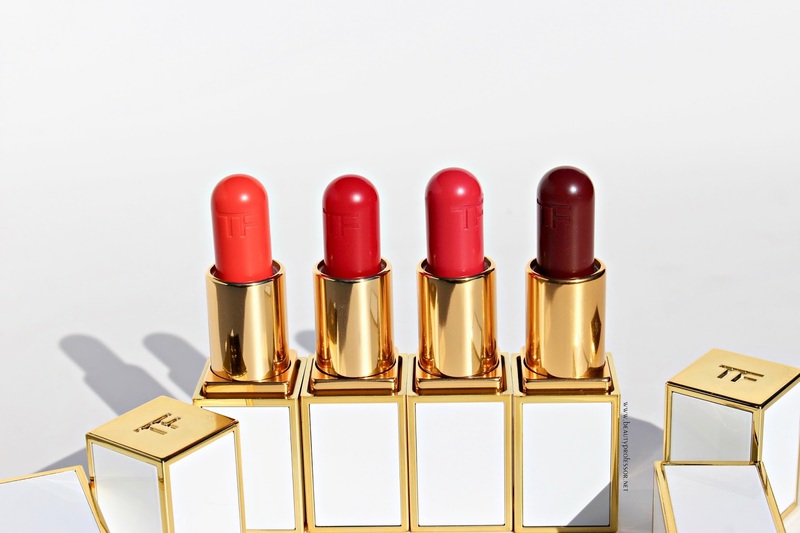 These feel very different from previous Tom Ford lip releases, making them an entirely worthy pursuit for those seeking a naturally pretty and protective flush that can be applied on the go. 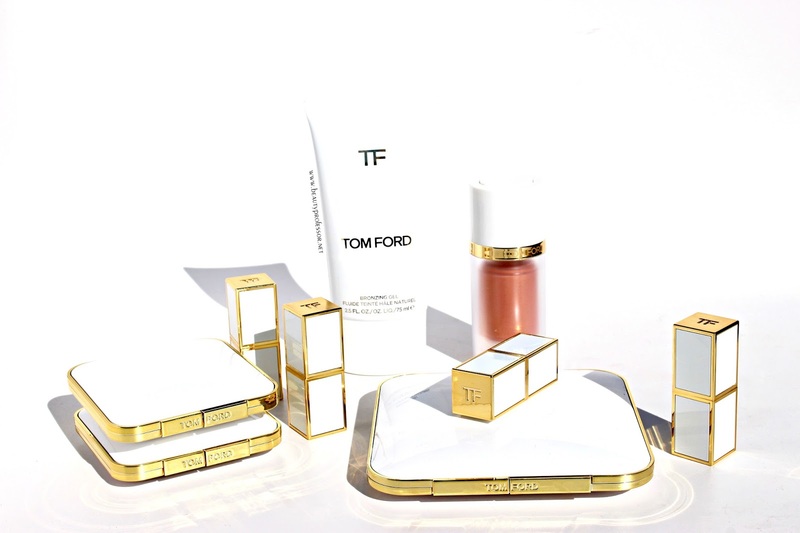 What it is: Tom Ford introduces limited-edition Soleil Lip Balm in a clutch size. What it does: The smooth jelly-like formula packs a powerfully juicy tint with a high-gloss shine. The rounded bullet glides on conditioning moisture and radiance. 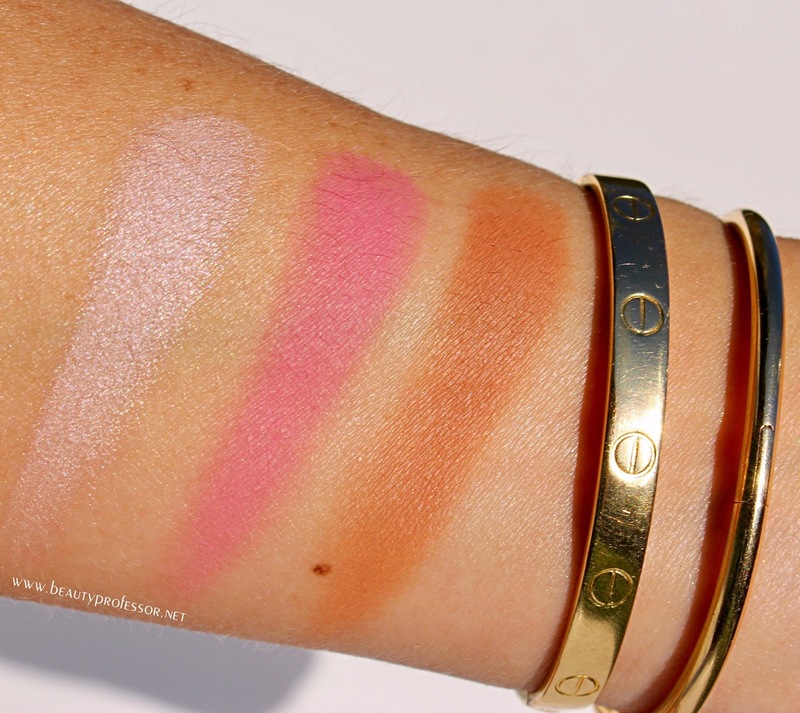 It's available in shades to enhance your natural lip color. Neotropic: Rich coral orange...this vibrant orange is my favorite due to its uniquely pigmented hue! Next, there are two creamy gel formula releases in the collection: the *Tom Ford Bronzing Gel (also available at Beautylish) and the *Skin Illuminator in Fire Lust (also available at Beautylish). 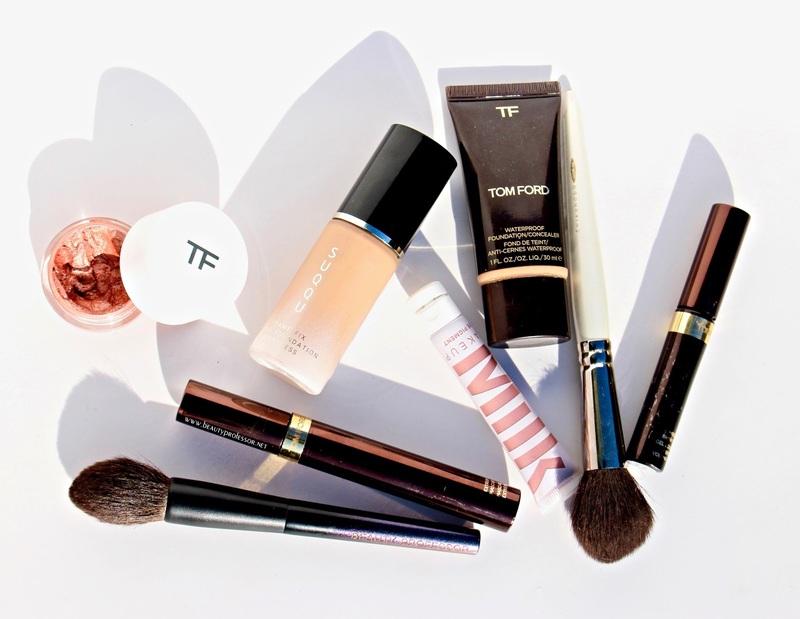 The *Tom Ford Bronzing Gel is a shimmer-free, sheer formula that bronzes skin to a brown tan (I used it on my décolleté in images at the end of this post); a little goes a long way and, when thoroughly buffed into skin, the results are remarkably and believably natural. I will be reaching for this frequently during the next few months as my skin transitions the seasons. The *Skin Illuminator in Fire Lust is a repromote in fresh packaging akin to the Shimmer Shots released late last year. The pearlescent, peachy rose hue can be used as a soft blush on lighter skin and gorgeous warm-toned highlighter on deeper skin tones, making it a truly a versatile product! From L-R: Comparison swatches of Fire Lust and Spin Spin Sugar (released late last year). 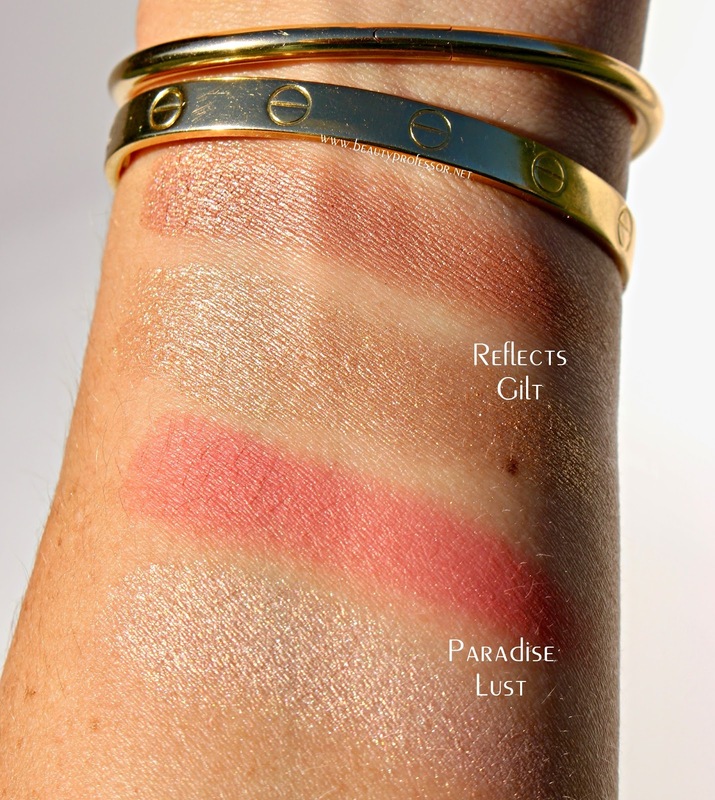 From L-R: Paradise Lust Afternoon Soleil and Reflects Gilt. 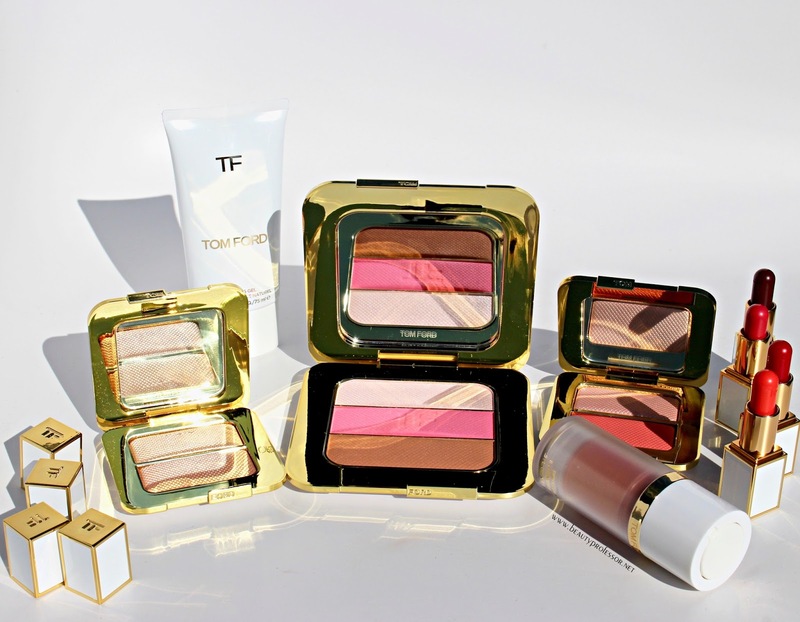 The powder compacts, comprised of a blush duo, a bronzer/blush/highlighter trio and a highlighting duo are next-level gorgeous. 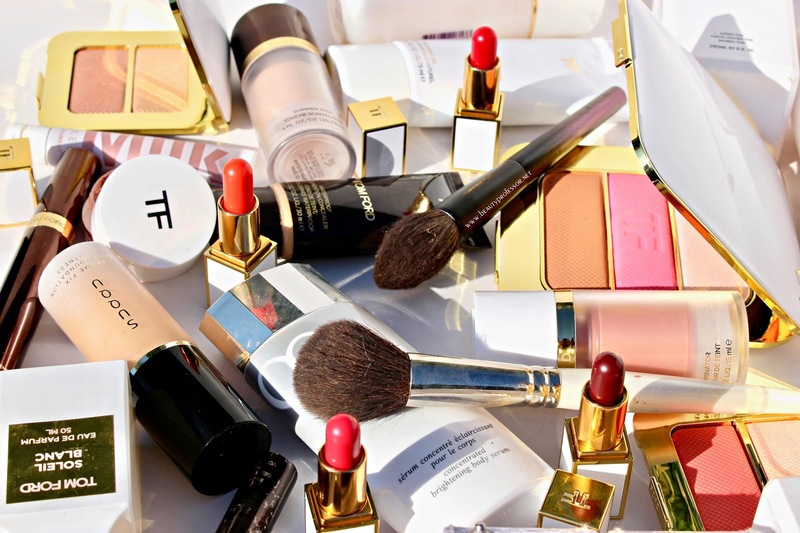 Not only are they stunning in their respective compacts, the way that they impart light and color to the face is positively transcendent. 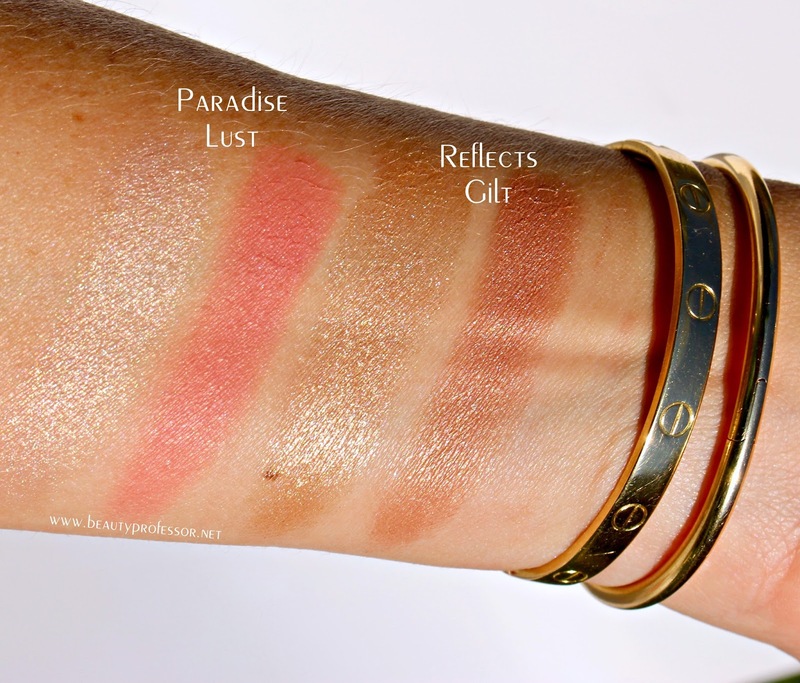 Paradise Lust + Reflects Gilt. 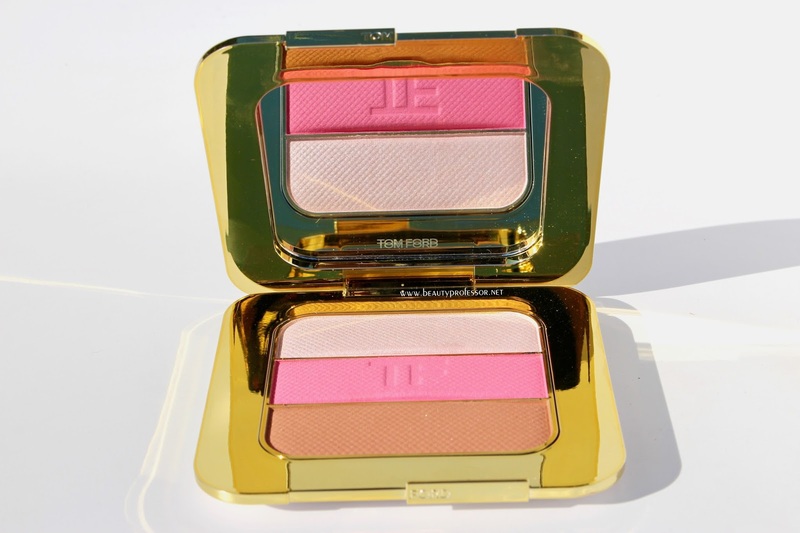 With a pearly peach highlighter and luscious coral pink blush, the shades in the *Sheer Cheek Duo in Paradise Lust (also available at Neiman Marcus and Beautylish) can be worn separately for precision highlighting and flush or mixed together for an ethereally pretty cheek. Ever in a hurry, I like to blend the two--focusing application on the apples of the cheeks--and dash out the door. Cheeks go both ways with Paradise Lust, a pair of peach and bright coral shades that give a light-reflective finish to bronzed summer skin. A soft pink highlighter and a bold rose blush can be applied wet for a soft veil of color or dry for a sweeping pop of vibrancy. 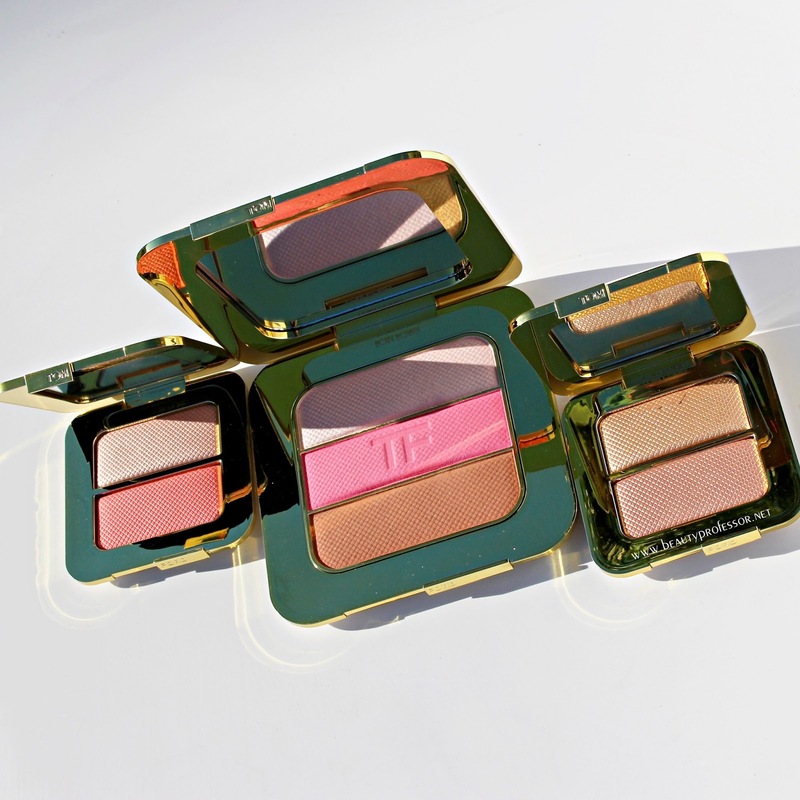 Eyes and cheeks in Reflects Gilt, a pair of shimmering rose and yellow gold inspired by the sunrise and the sunset, give a light-reflective finish to bronzed, glowing skin. 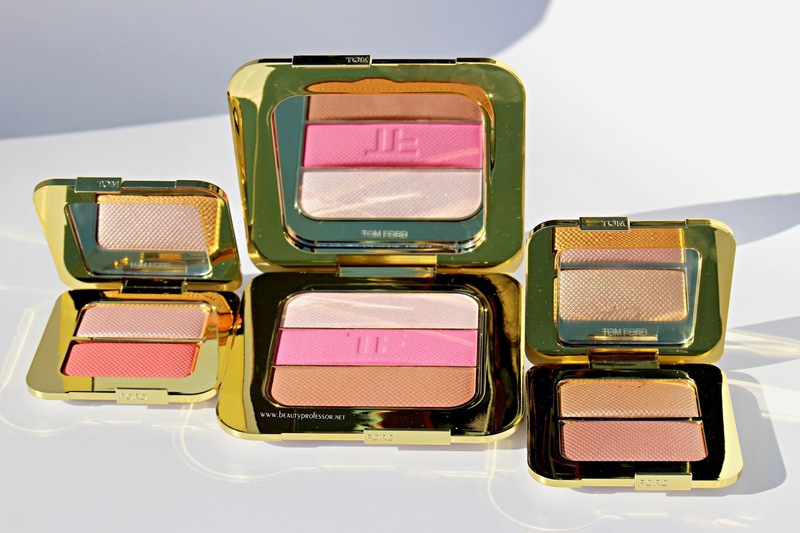 A versatile cheek and face highlighter and luminous eye shadow, the radiant shades can be applied wet for a soft veil of color or dry for a sweeping pop of vibrancy. 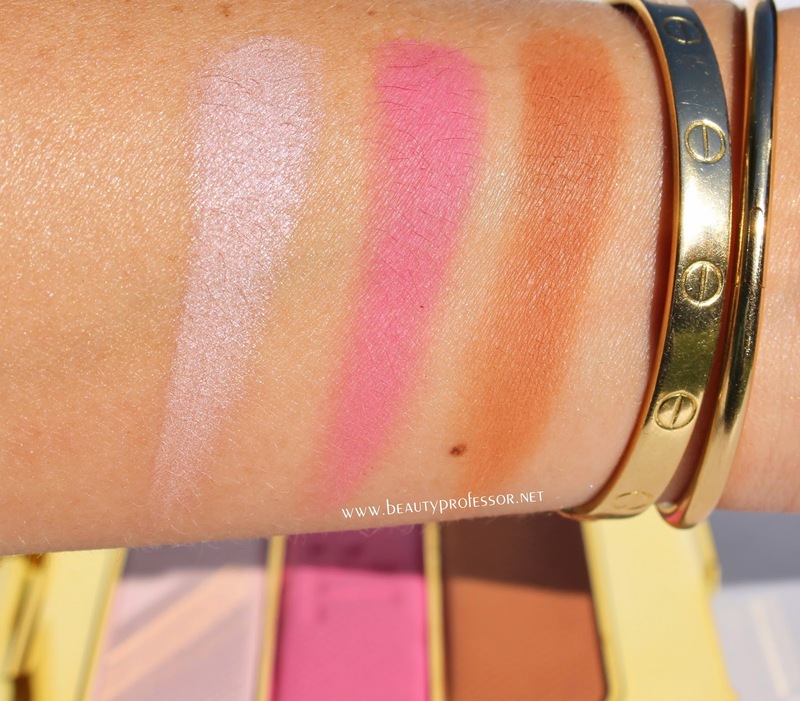 The Soleil Contouring Compact in Soleil Afterglow. 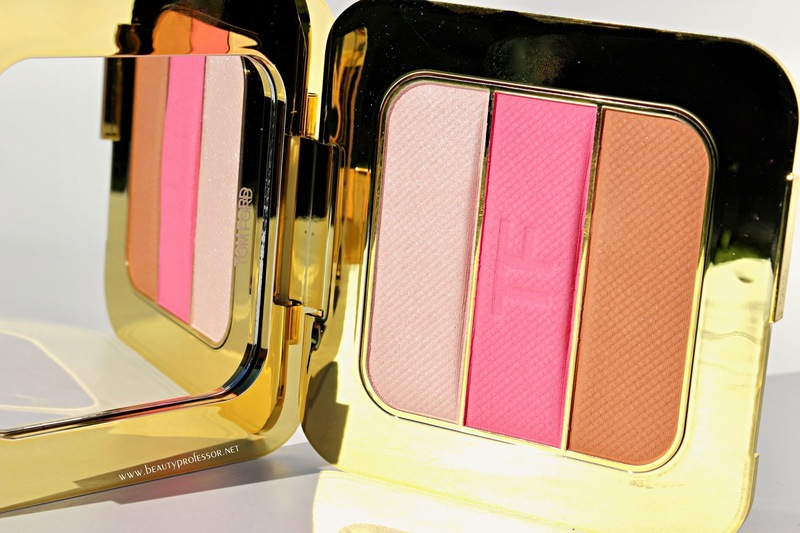 Finally, the *Soleil Contouring Compact in Soleil Afterglow (also available at Neiman Marcus and Beautylish) features three diverse, finely milled cheek shades to chisel and warm the face, brighten the cheeks and illuminate one's features. 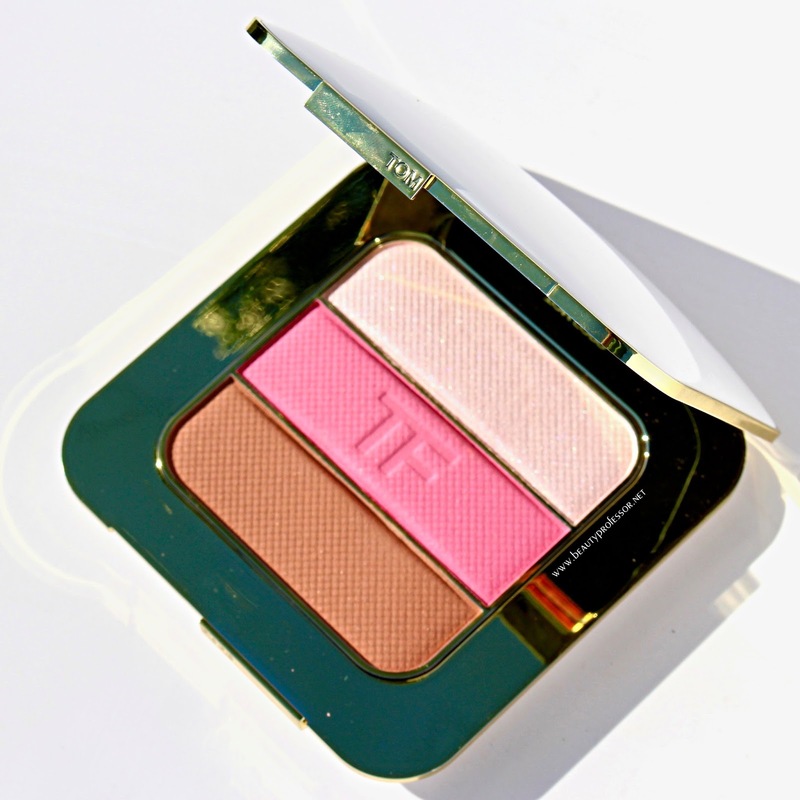 This decadently large compact creates enough room to liberally sweep your brush through each hue and apply accordingly...summertime in mere seconds has never looked so effortless. 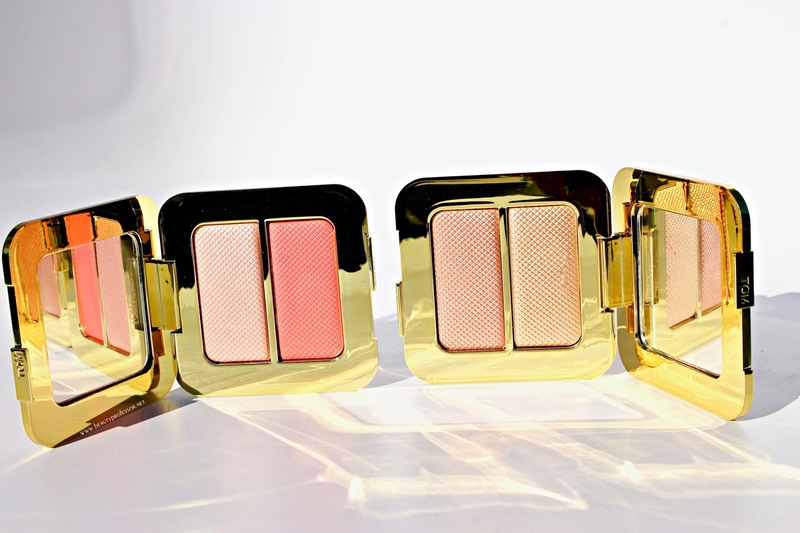 Tom Ford's luxurious artisan face palette returns in Soleil Afterglow, three new sensual summer shades in one ivory- and gold-colored Tom Ford Soleil compact. The blush, highlighter and bronzer add natural dimension and sensuous color in a cream-like powder formula that effortlessly glides onto skin with a soft, even finish. 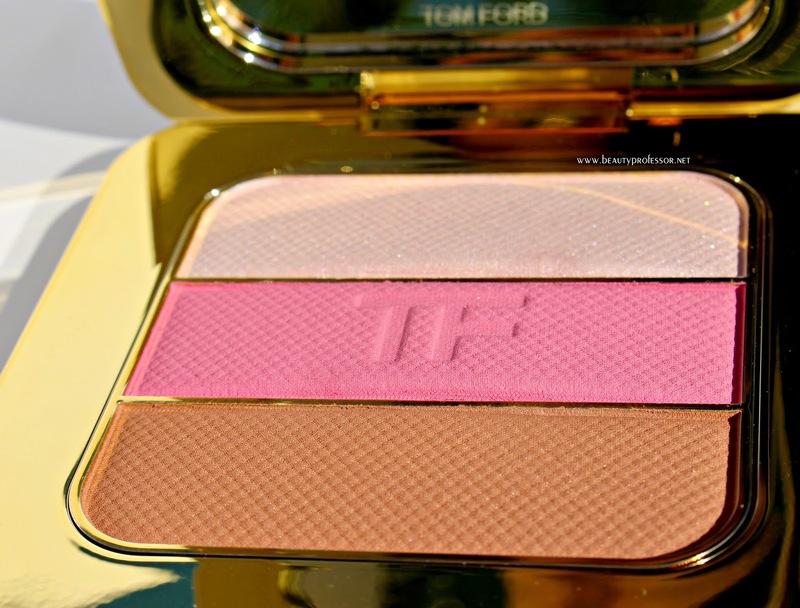 Vibrant pink blush gives cheeks the perfect touch of color, the pale rose highlighter mimics the sun reflecting off the skin and the sultry bronzer enhances a healthy radiance. 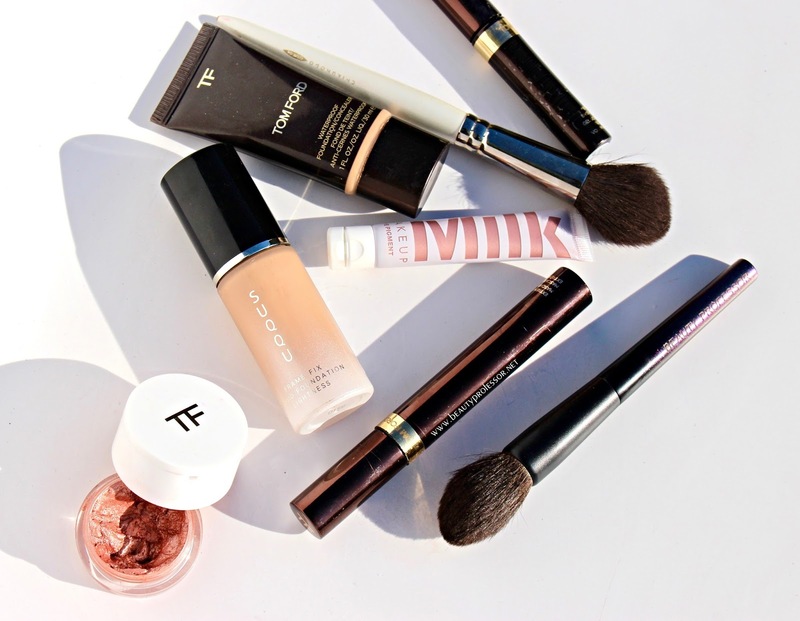 Use shades alone or together to contour a seductive, natural glow. 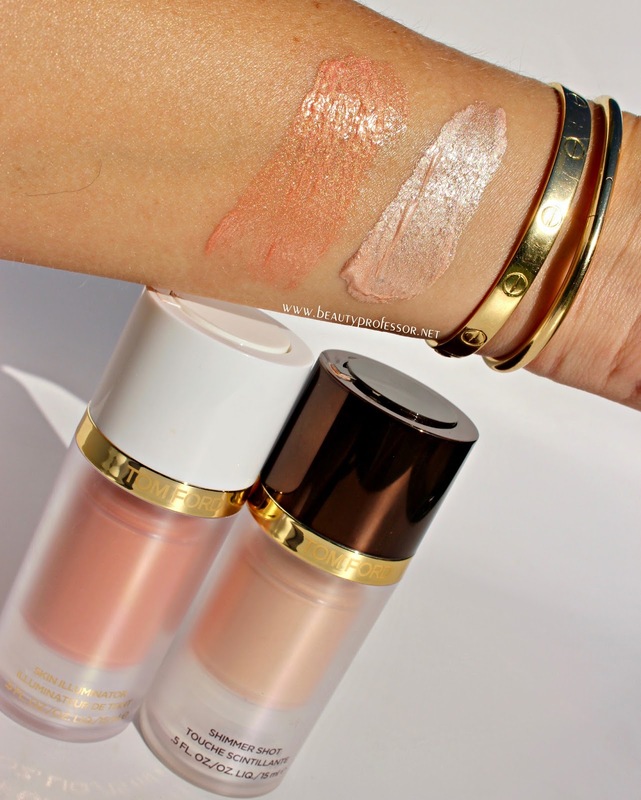 Provides sheer to medium coverage, both matte and radiant. 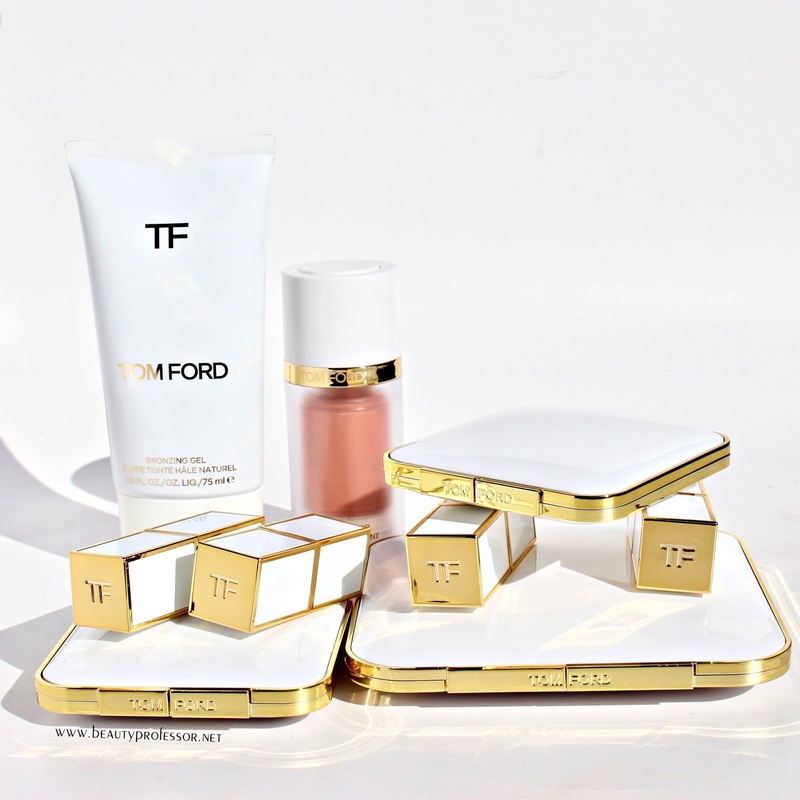 Embossed with Tom Ford logo. 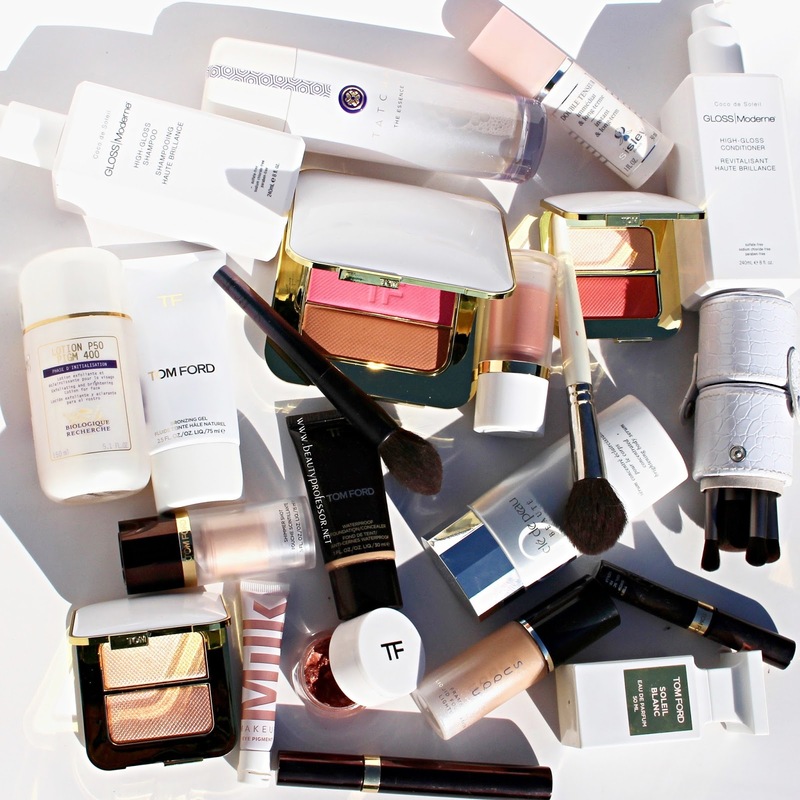 // SKINCARE + HAIRCARE // A round of new discoveries and old favorites! Biologique Recharge P50 PIGM 400: I picked up a bottle of this at Liberty London and am over the moon at how smooth and even my skin has become. Potent and effective, a little goes a long way to transform the look of skin...additional thoughts soon! *Tatcha The Essence: Harnessing the power of green tea, rice and algae this weightless essence hydrates and balances my skin on contact. *Sisley-Paris Double Tenseur (reviewed HERE): Essential for moments when my skin needs extra tightening and lift, this formula is a gorgeous, clear primer prior to foundation. 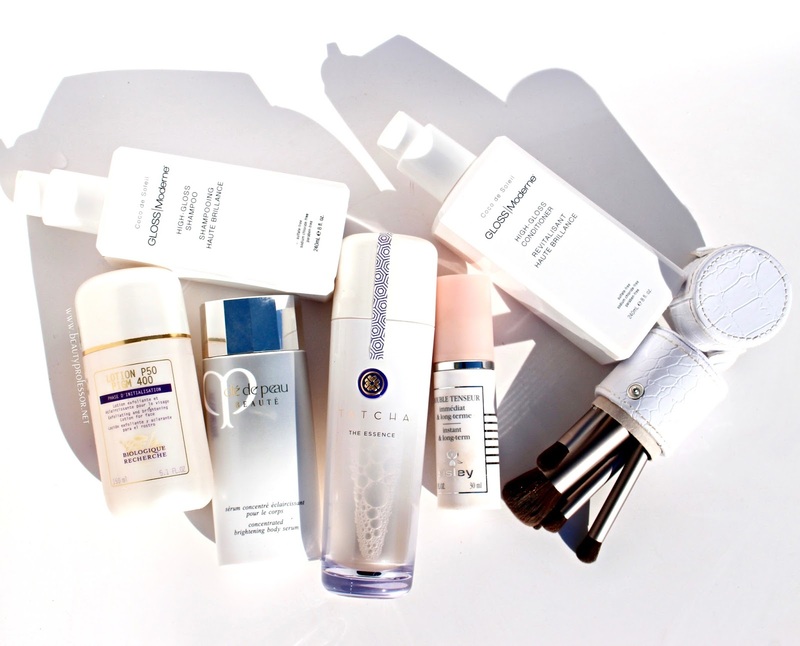 *Clé de Peau Beauté Brightening Body Serum (reviewed HERE): I have been using this to combat sun damage on my chest and décolleté and am thrilled by the results...truly worth the investment. *Jenny Patinkin The Petites Brush Set (reviewed HERE): Excellent for travel and home alike, this diminutive set of vegan brushes are the perfect blend of opulence, efficacy and convenience. 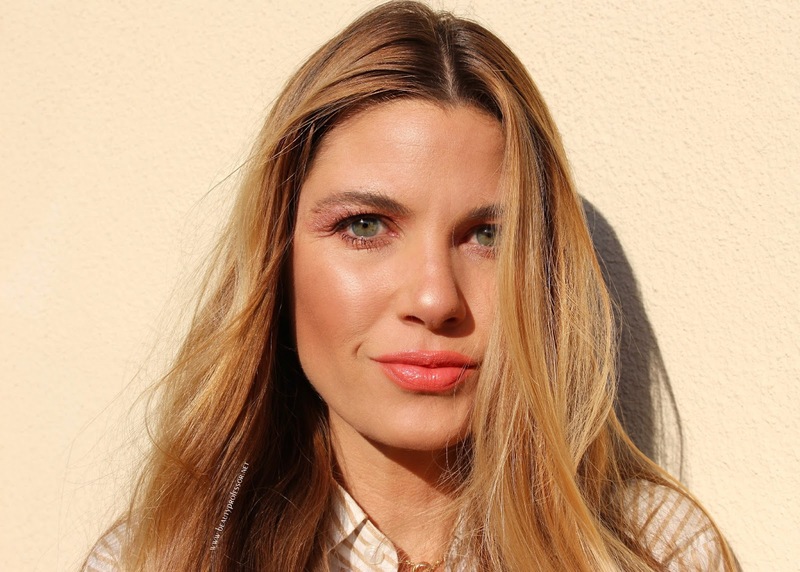 // BASE + EYES // For the look that follows, I embraced a warm golden foundation mix and luminous peachy rose eye. 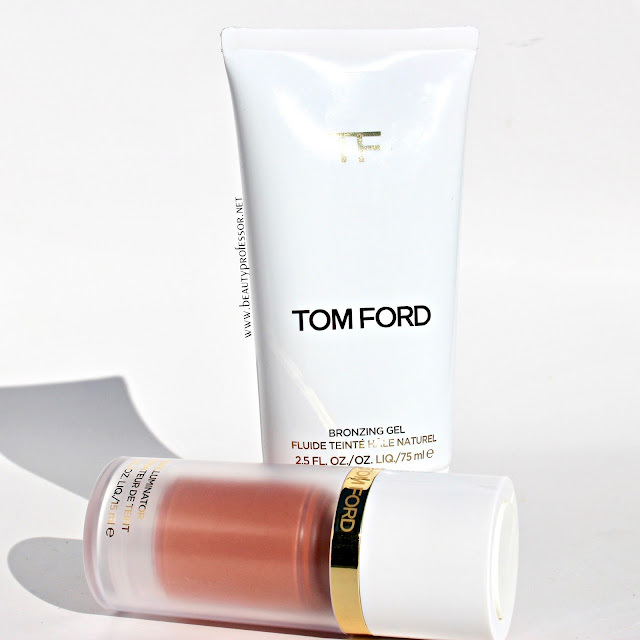 Suqqu Frame Fix Liquid Foundation Lightness #203 (reviewed HERE) mixed with the *Tom Ford Waterproof Foundation/Concealer in Natural (reviewed HERE) at the center of the face. Pure Shores on the lips. 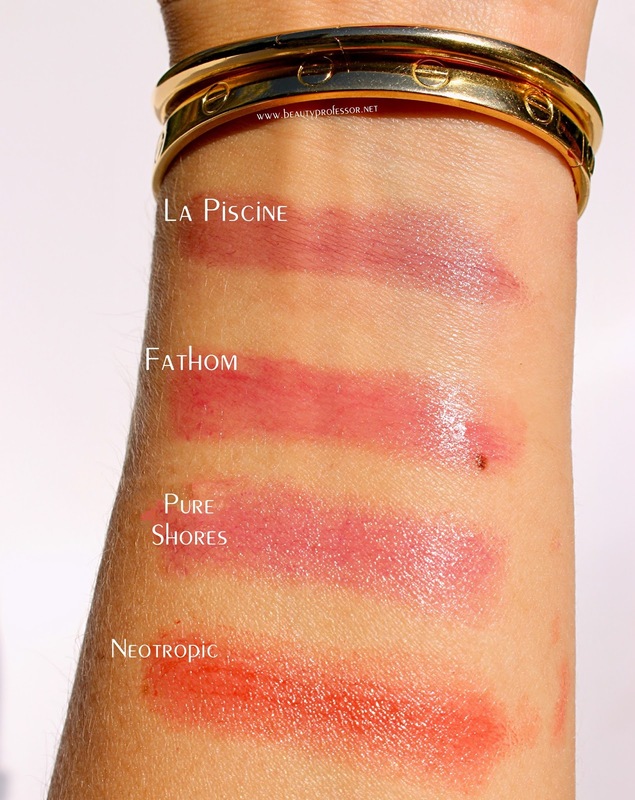 La Piscine on the lips. 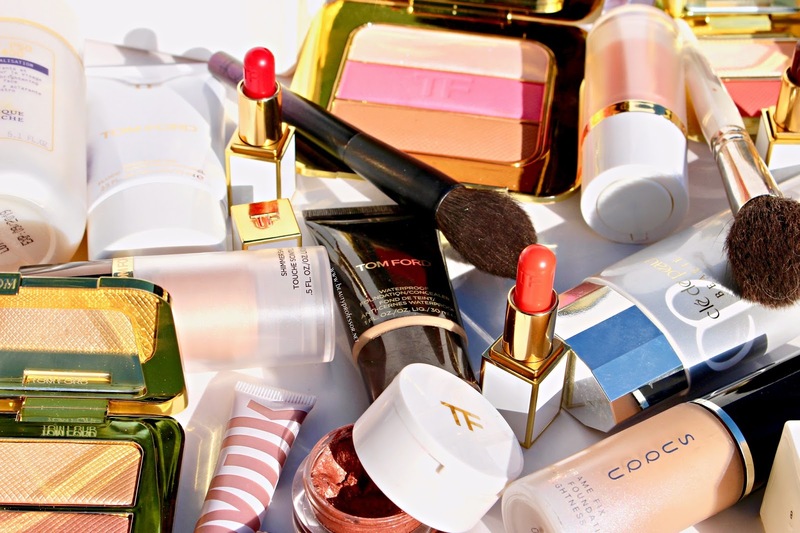 Bottom Line: I hope you enjoyed this image-laden overview of the glorious *Tom Ford Soleil Collection 2017, as well as some skincare and beauty products in heavy rotation! What is catching your eye from the recent launches? Do tell. Also, hope to see some of you in Dallas FW tomorrow evening for my Neiman Marcus event! Hi Rachel!!! Thank you for a lovely blogg!!! I having a question, what is the difference between the peach in duo paradise and the peach blush in the warm winter pallet (from 2016)???? Are they any close in colour? Hello, BR! Thanks for your question...I find that they are quite close but the Duo peach is a bit brighter/bolder. My absolute pleasure, Anon! 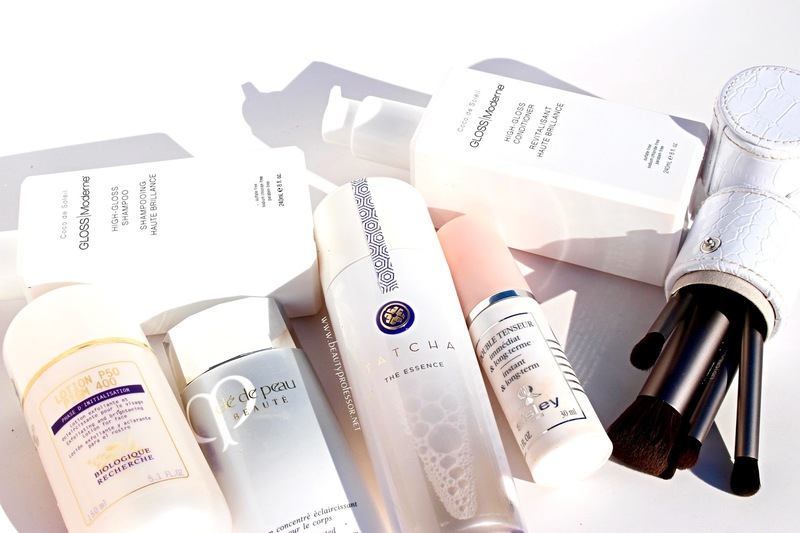 Thank you...I find that the Tatcha essence is a bit "bouncier" in texture and hydration levels than the SK-II (which is so very good for brightening and clarifying, rather than moisture, in my experience).